Hamilton jabs Wolff: His wife is a better driver! It takes a brave person to aim a jab at your boss, but then again, not everyone is as untouchable in their job as Lewis Hamilton. 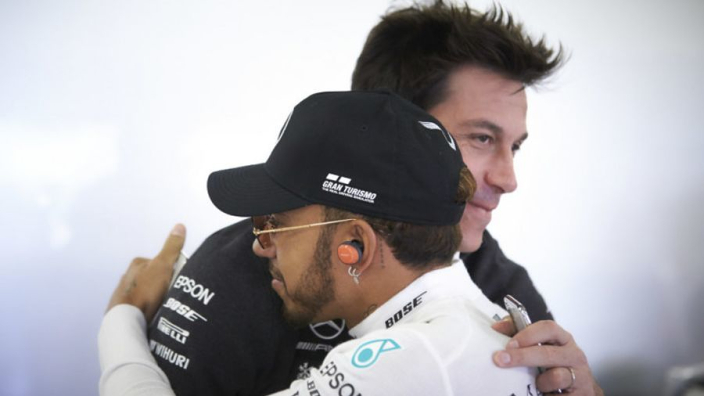 The world champion and Mercedes CEO Toto Wolff were in Madrid at a HPE Discover event when discussion turned to the Austrian's racing spirit, and Hamilton was keen to remind his boss that his wife – former Williams test driver Susie – will always be the better behind the wheel.